Today’s my favorite holiday–partly because I got to make it up! 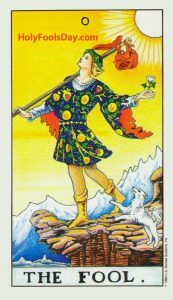 But even more celebratory, it’s a special day that invites you to answer the Call to Adventure and take an inspired action that your soul is asking of you. Holy Fools express what indigenous peoples call Original Medicine. You are formed for a singular purpose for which you have gifts and talents that are nowhere else duplicated. And if you don’t express those gifts, they are lost to the world for all time. I first learned of this profound but simple teaching from cultural anthropologist Angeles Arrien, with whom I had the privilege of studying for over ten years. Angeles left the earth plane five years ago and Patrick O’Neill, with whom she co-taught for 20 years, is continuing her great work. Both of us feel the best parts of ourselves were gained by osmosis by sitting so close to Angeles for so long. 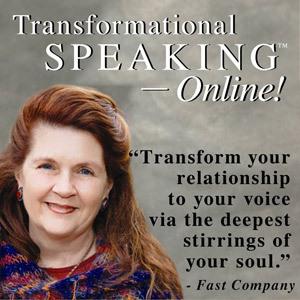 Posing questions at the end of the call are members of our Transformational Speaking Online Community applying Patrick’s insights to their own journeys. I hope you’ll love this conversation as much as I did! 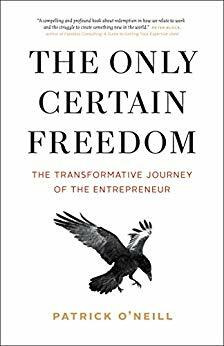 For more, I recommend Patrick’s book The Only Certain Freedom: The Transformational Journey of the Entrepreneur. Here he shares his own Hero’s journey of leaving behind the cutthroat but lucrative public relations world to take a new and unknown path. Patrick connects the processes, pitfalls and triumphs of his story to ancient myths that will leave you nodding your head in recognition.This is a book to turn to again and again in times of confusion. It just might give you the courage to commit to a new dream, as it did for me! 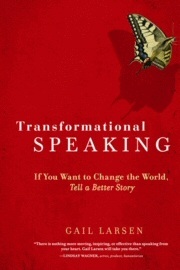 Our world is changing, one voice at a time. Your voice is needed, and I’m hoping the inspiration you receive from my conversation with Patrick will call forth the courage you need to speak your truth, follow your dream, and take that first fierce step into the unknown. To saying a Holy YES! to the Holy Fool within you! ". 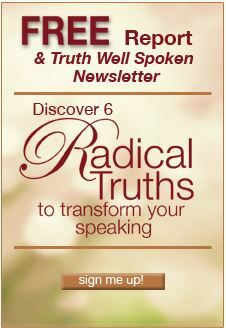 . . a remarkably powerful way to build leadership skills and effectively integrate inner healing and transformation with practical skill-building."